Are you reluctant to teach pronunciation due to the variation in your learners’ needs? Don’t be! You can create valuable aha moments for students of various backgrounds by teaching them the pronunciation features of syllable and sentence stress. They will suddenly understand why others often do not understand them, why they often don’t understand others, and why English spelling and grammar are often difficult to learn. In this webinar, you will learn key features of the rhythm of Canadian English, a suggested progression for teaching it, and recommendations for teaching materials. Online Access: Tutela – To access login for this event, please RSVP by March 5, 2018. Cari-Ann Roberts Gotta is one of BC TEAL’s regional representatives. 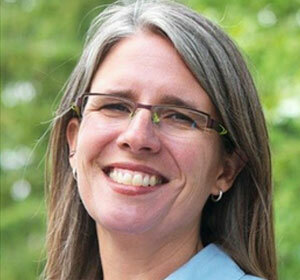 She holds a Master’s degree in Adult Education from UBC and a TESOL diploma from Vancouver Community College. Cari-Ann has been teaching in the field of English Language Learning for the past 12 years and currently works for Selkirk College in Nelson. Over the years she has developed her interest and skills in teaching pronunciation and has shared her learning with many language instructors and literacy tutors through numerous conference and training workshops.